What happens when you mix 7 COMPAS teaching artists, 2 rising creators, 12 breweries and distilleries, plus a whole lot of fun? You get our unique 3rd annual fundraiser, Arts & Crafts! It was a wonderful time and with YOUR support we will be able to reach thousands more Minnesotans with the power of creativity. A huge thank you to all the breweries and distilleries who donated their time and products to us, as well as all our fantastic sponsors. Check out our Facebook page for more pictures! If you couldn't make it to Arts & Crafts this year, you were well missed! Still interested in lending your support? Click here. 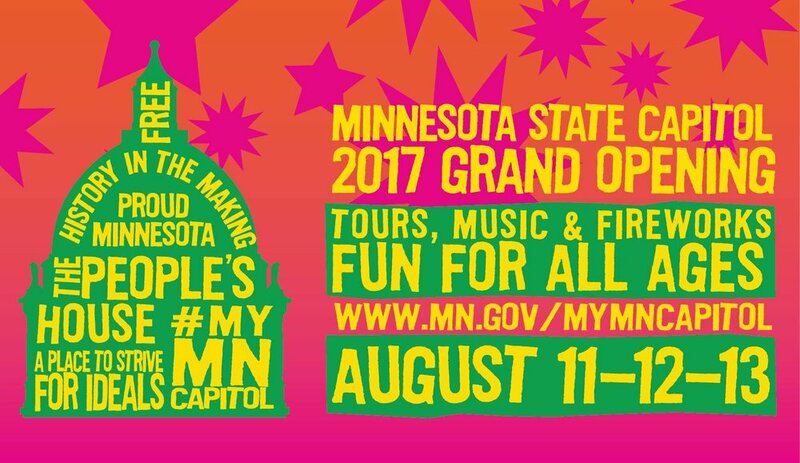 Join us at the State Capitol Grand Opening! COMPAS artists will be helping celebrate the State Capitol's Grand Opening on the main stage. Make sure to stop by and show your support! See the full line-up here. In an exciting new partnership with the Ordway, COMPAS circus artist Benjamin Domask will be performing for an hour before every Circus 1903 performance June 27th-30th from 6:30pm - 7:30pm. Get discounted tickets to the show (see below) and come early so you can see Benjamin dazzle you with juggling, mime, jokes and improvised silliness. The producers of the world’s biggest magic show, The Illusionists have teamed up with the award-winning puppeteers from War Horse to present a thrilling turn of the century circus spectacular. Sensational puppetry puts Elephants back in the ring as never seen before along with a huge cast of the most unique, amazing and dangerous circus acts from all four corners of the world, from strong men to contortionists, acrobats to musicians, knife throwers, high wire and much more! Discover the golden age of circus this summer as CIRCUS 1903 - The Golden Age of Circus sets to captivate audiences of all ages. * Valid on Price 1-4. Not valid with previous purchases or with other offers. Subject to availability. Restrictions may apply.